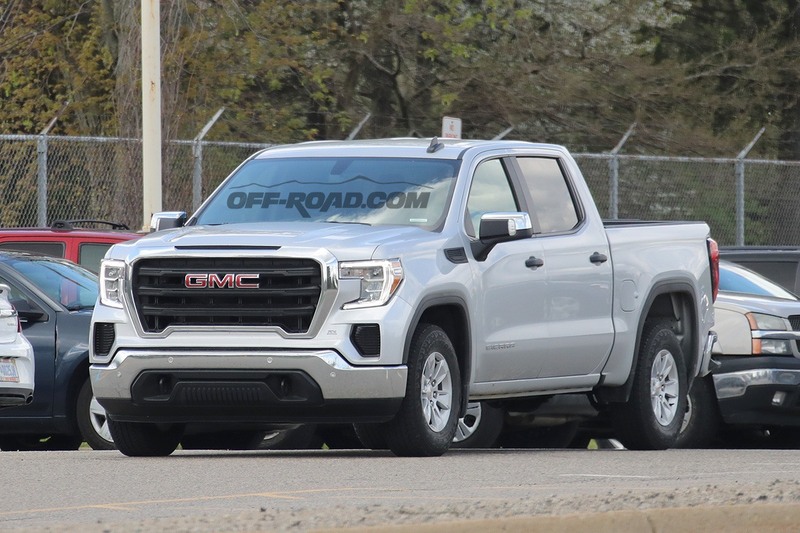 The 2019 GMC Sierra 1500 has already been unveiled, but the American automaker hasn’t shown off the base model officially, so this is our first look. 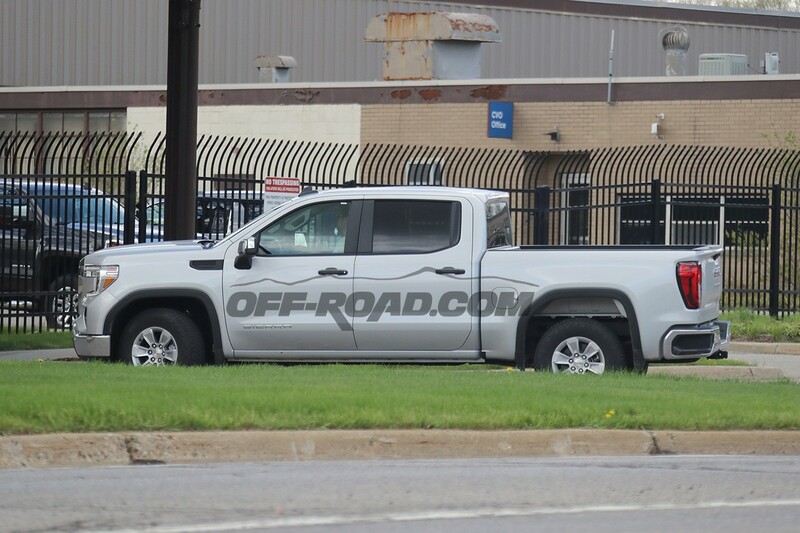 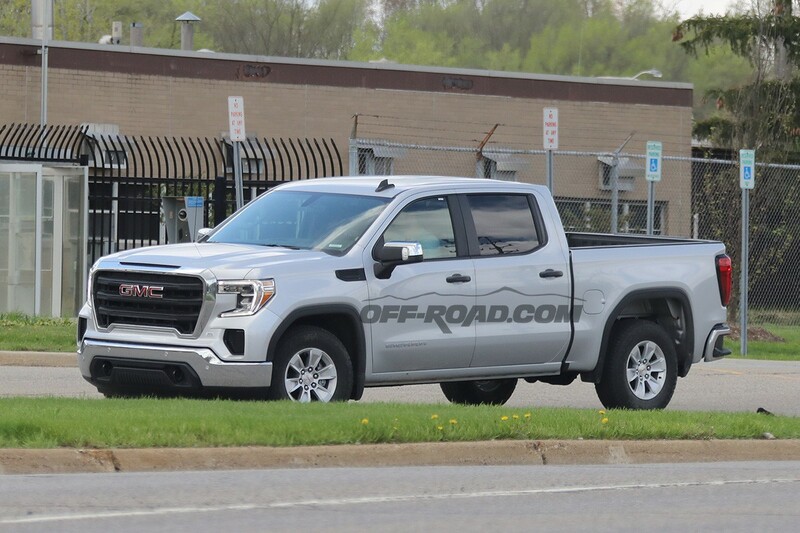 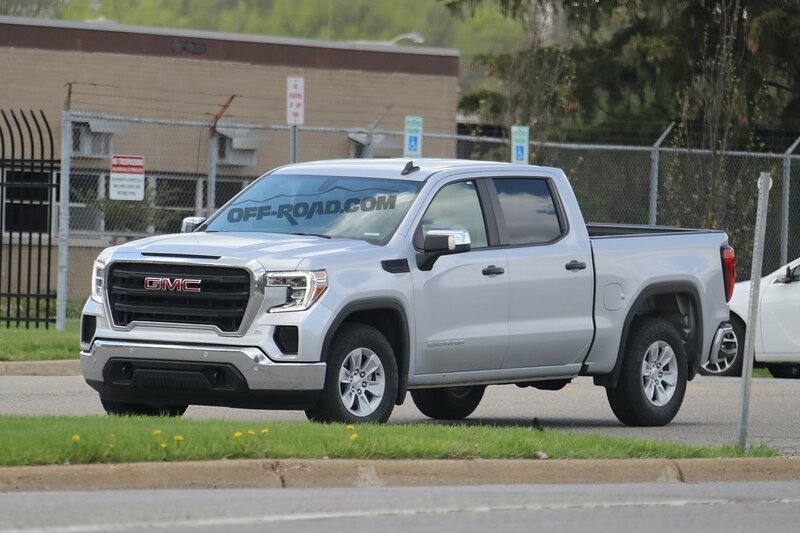 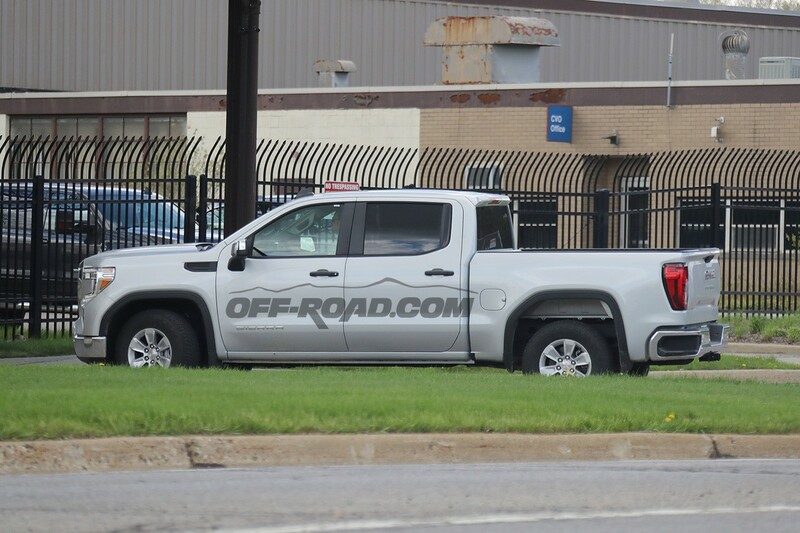 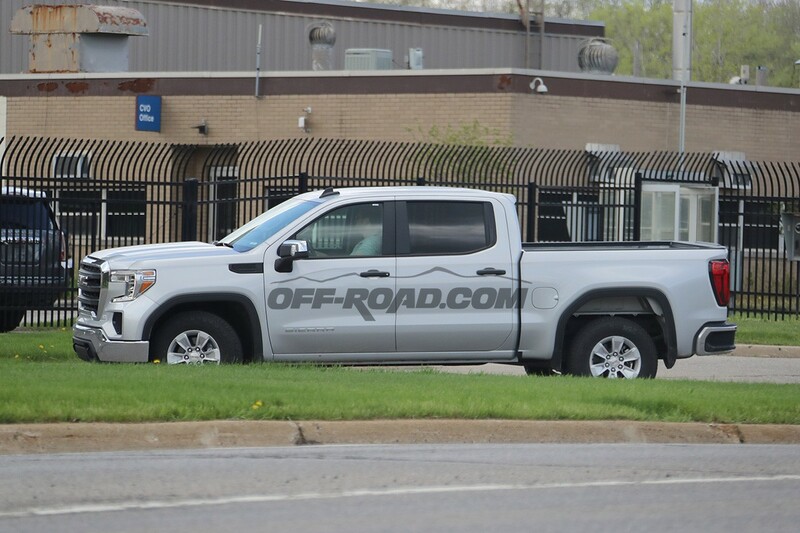 Spy photographers recently caught the base model 2019 GMC Sierra 1500 testing near Milford Proving Grounds, giving us a look at the entry-level trim. 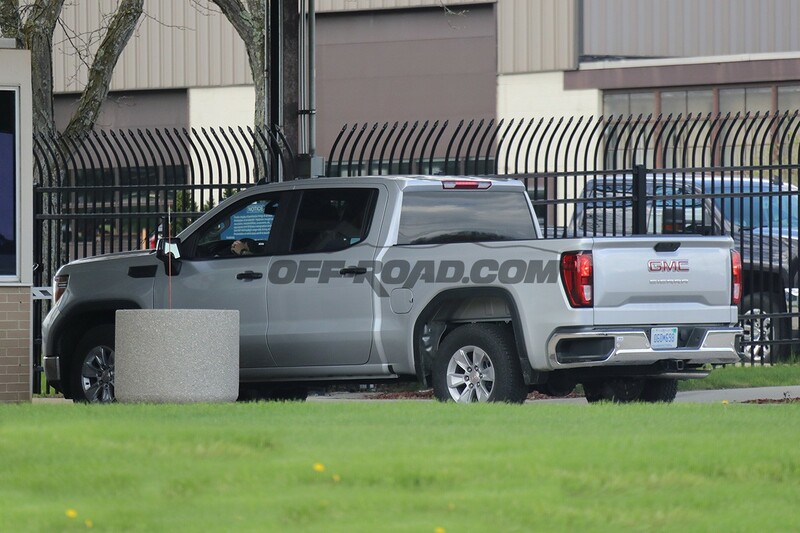 Naturally, since the new Sierra 1500 has debuted, the prototype testing isn’t wearing any camouflage so we see the unique grille with black plastic inserts, black plastic trim around the windows, black plastic door handles, a revised rear bumper, and a traditional exhaust setup. 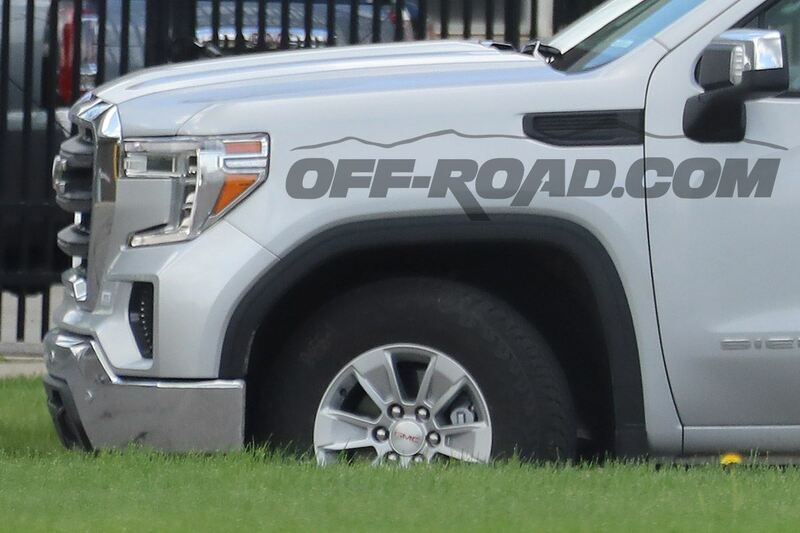 There are also no fog lights present. 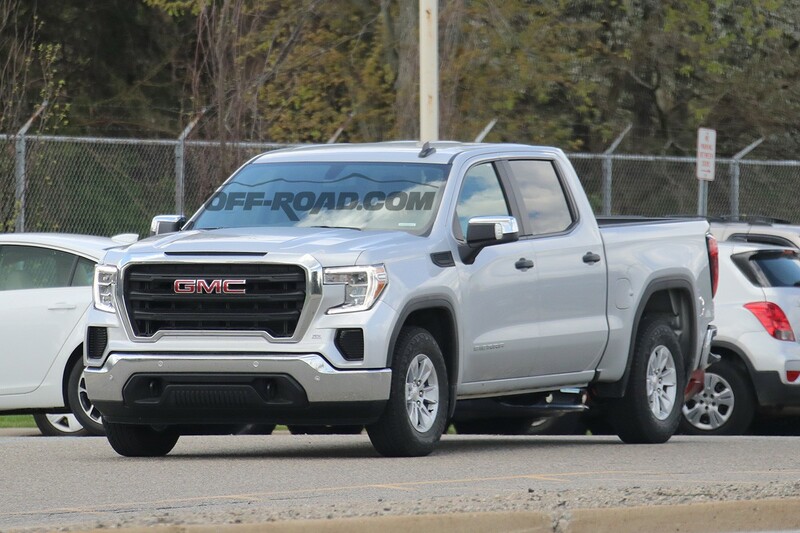 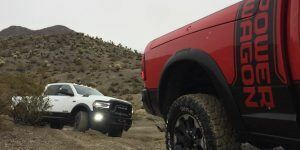 The 2019 GMC Sierra 1500 is available with either a 5.3-liter V8 paired to an eight-speed automatic transmission, or a 6.2-liter engine with a new 10-speed automatic. 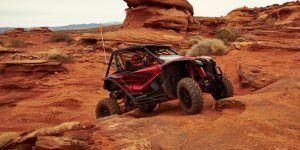 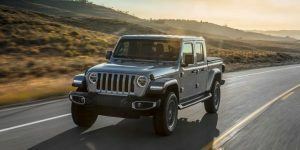 A 3.0-liter diesel offering will join the lineup after launch. 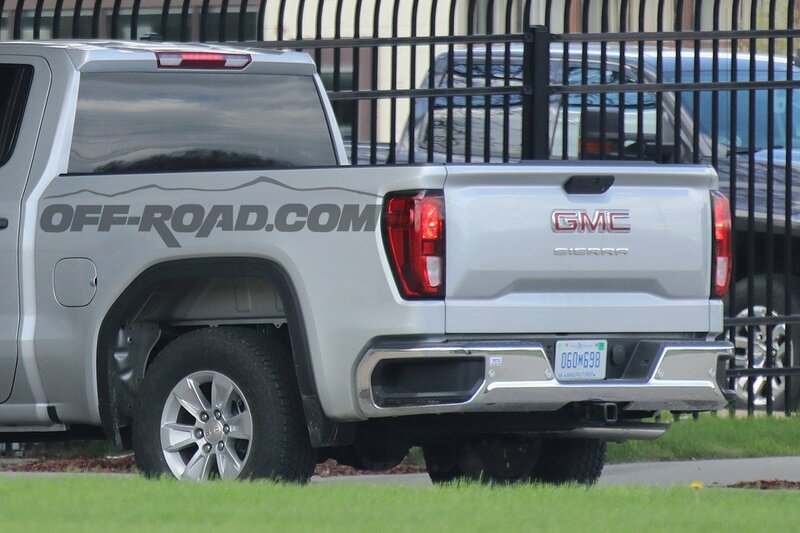 So far, GMC has unveiled the Sierra 1500 Denali, SLT, and AT4 trims, so expect additional trim levels to be shown in the coming months.